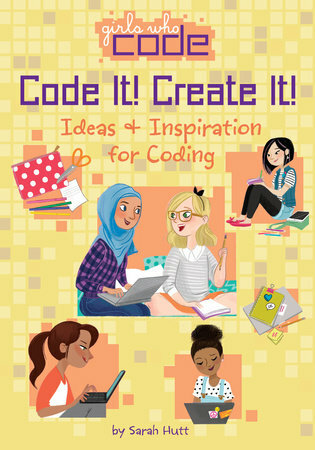 Come up with the perfect coding-powered project in this informative, interactive journal published in partnership with the nonprofit organization Girls Who Code! Think being creative has nothing to do with computer coding? Think again! Coding is all about creativity. The video games you play, the photo-sharing apps you love, the animated movies you watch—they’re all made with code. And the coolest part? YOU can make anything with code, too! The possibilities for coding projects are limitless, so use these pages to get inspired, jot down ideas, doodle, play coding games, and more. Let your imagination run wild—you just might come up with the most awesome coding project ever.